Back again today with some more of my adventure in Scotland (June 2016). First thing I did today was go to a tour at Speyside Cooperage which was really interesting. You don't really get much for your £3.50 (15 min video then a viewing gallery into the Cooperage) but it was pretty mesmerising to see the coopers at work. After that I just about had time for a tour at Glen Grant. 45 mins, £5 and you get to taste the Major's Reserve and the 10yo. Since I was driving I took some away in a sample bottle and tried later. Guide seemed a little nervous and might have been new. 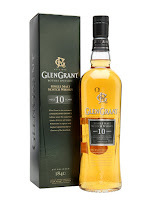 Glen grant is an interesting distillery (most of them are!) because they got purifiers on the stills, similar to Ardbeg, although I think Glen Grant were the first distillery to use them. Anyway, these purifiers only allow the lightest vapours into the condenser, allowing for a lighter spirit. Nose: Fragrant, fruity and perfumed. Melon and banana, heady women's perfume, orange blossom, orange peel, lemon. Taste: Soft. 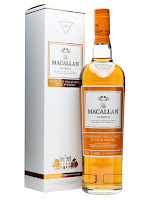 Sweet and perfumed, flowers, orange blossom, orange peel, fragrant oak, lemon pith, some chocolate into the finish. Finish: Medium length. Chocolate and oak. Notes: Nice nose, lackluster finish. friendly guide who knew a lot about just about everything. Macallan is huge, its really 3 distilleries on one estate. They are just finishing the 3rd distillery and its bigger than the other 2 combined, its going to be pretty impressive once its done. Did you know they also own a cooperage in Spain? Anyway onto the whiskies. 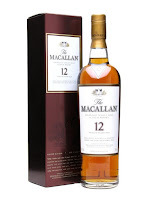 Macallan has 3 main ranges, the NAS 1824, and the age statement Sherry and Fine Oak. Sherry is just Sherry casks, Fine Oak is a combination oof Bourbon and Sherry. Nose: Aromatic. Very malty and oily. Nutty, Sherry, honey, honeysuckle, little floral notes- Heather, milk chocolate. Taste: Oily, nutty, very malty, Sherry and vanilla, lots of honey, more oily malt, Macademia nut. Finish: Short/Medium length. Nutty and then oily and cloying. Nose: Malty and oily, Sherry, wood spice, nutty, oily nuts, fresh barley, raisin, biscuit. Taste: Very soft arrival, raisin, biscuit, malt, barley, spices building up, then some harsh oak and tannins, but recedes into the finish. Finish: Short/Medium length. 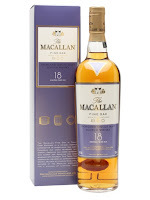 Oily malt and oaky spices. Nose: Lovely. Heavy and fat. Sherry, nuts, oily, malt, earthiness, raisin, dark chocolate. Taste: Soft, Sherry, nutty, oily, oily malt, barley, raisin, honey, dark chocolate, good quality coffee. Finish: Medium length. Good quality dark chocolate and great coffee. Notes: Great stuff. Can't believe this was discontinued in most markets, or maybe they just got super expensive? Nose: Lovely, very perfumed, perfume, men's cologne, aromatic spice, cinnamon bark, honeysuckle, orange blossom, orange peel, orange juice. Taste: Soft arrival, lots of honey, honeysuckle, floral, perfumed, manly cologne, musk, old oak, sandalwood, some tannins, Sherry, toffee, chocolate and dark coffee. Finish: Medium/Long length. Toffee, honey and spiced oak. Notes: I didn't know they did this. Thought the 21yo was the next step up from the 15 fine oak. A really grown up whisky, sophisticated.